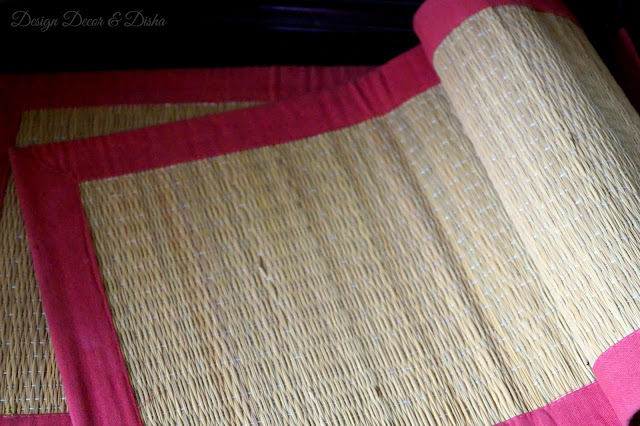 As this month I am focusing on kitchen and dining spaces, here is a DIY idea to turn drab looking bamboo or grass placemats into fab ones. You can check previous posts in this series, DIY kitchen artwork here and the smart way to do the kitchen interiors here. Okay! now let's get started with today's DIY. I had a set of six grass placemats since the time I was in Delhi. For initial few years, I didn't use them and after I started using them, I didn't like the dull look of the placemats. Every time I looked at them, it felt like as if placemats were screaming at me and requesting me to give them a makeover. I accepted their request just a few days ago. First, I figured out that the color of the placemats has to be changed and secondly I didn't like the plain look of them so something extra has to be added to the placemats. Do you want to see...have a look! Okay! so it was clear that I will be changing the color of the placemats and adding some bling to it. 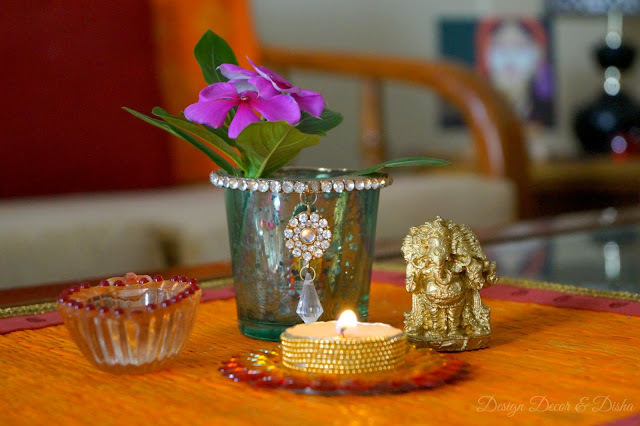 For color, I chose ochre as it helps in creating a warm ambiance and to add some bling I bought beautiful golden lace so that I can use these placemats during the festive season. But before we start this DIY let's first clean the bamboo/grass placemats. Once the placemats are clean and dry you can start painting them in your choice of color. 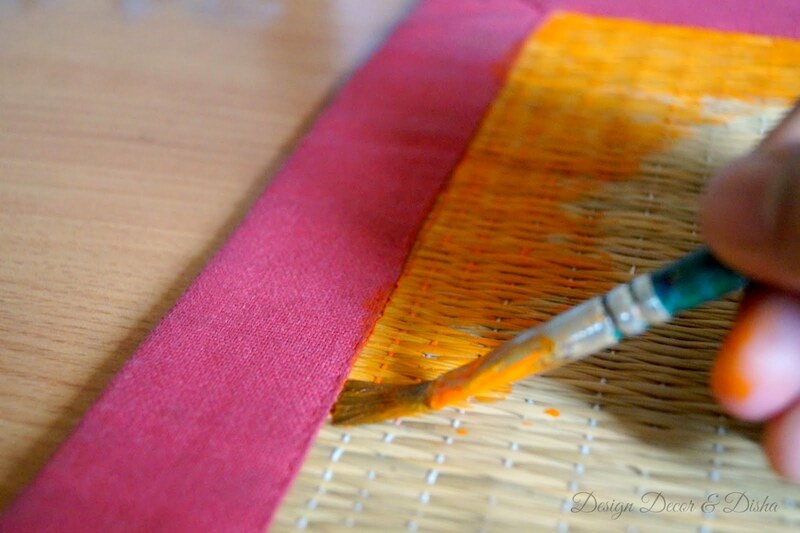 Acrylic colors are best to paint bamboo placemats. It is always a good idea to start painting from the edges towards the center. Let it dry and then you can glue golden lace or any other embellishment on the edges of the bamboo placemats. You can stick the lace using fabric glue or glue gun. 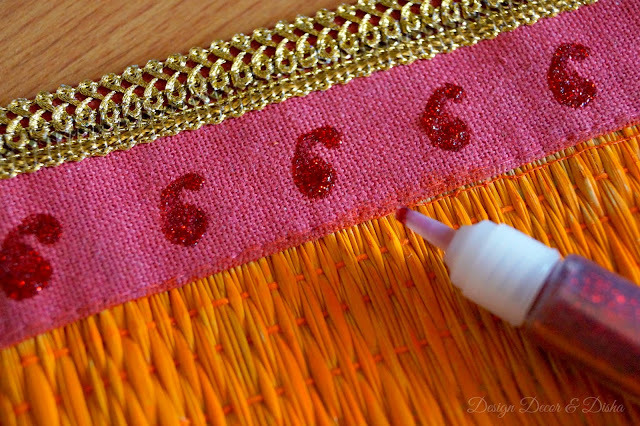 After adding lace I wanted to add more bling to the placemats so using glitters I drew a paisley pattern on the border. 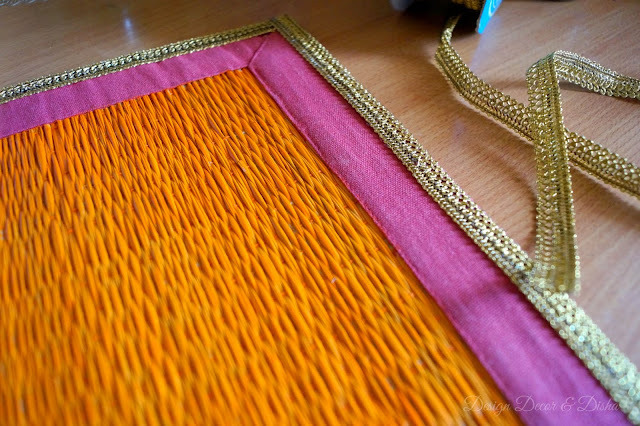 In the last when everything is dried and fixed properly rub a little oil (coconut oil) on the placemats for extra shine. 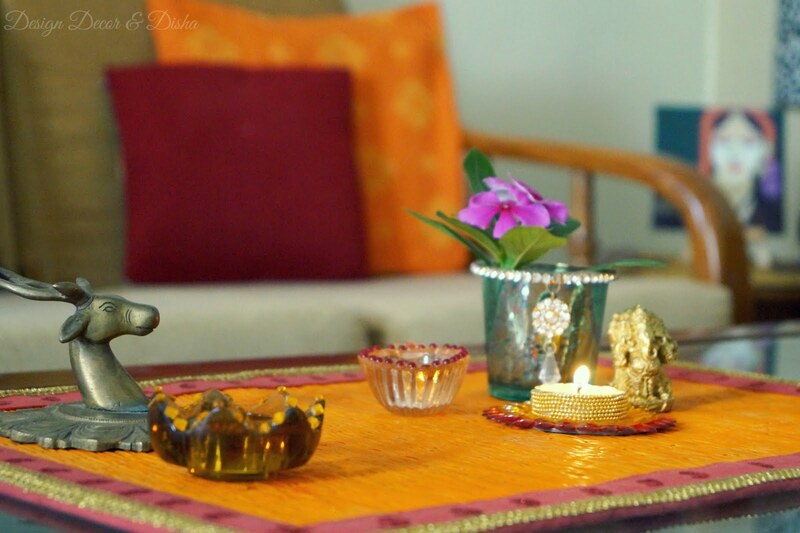 Oil forms a protective layer and protects the placemats from the growth of molds. Here are some images how a little change can make a big difference. Right now I am using the painted bamboo placemat on my coffee table as I painted only one. Once all the four placemats are ready I will use them on my dining table. Till then I am enjoying my coffee table decor. Did you like this DIY!! Do you have something like this lying unused in a corner and screaming at you to give it a new lease of life. Oh, well then the weekend is here and you can try something like this. 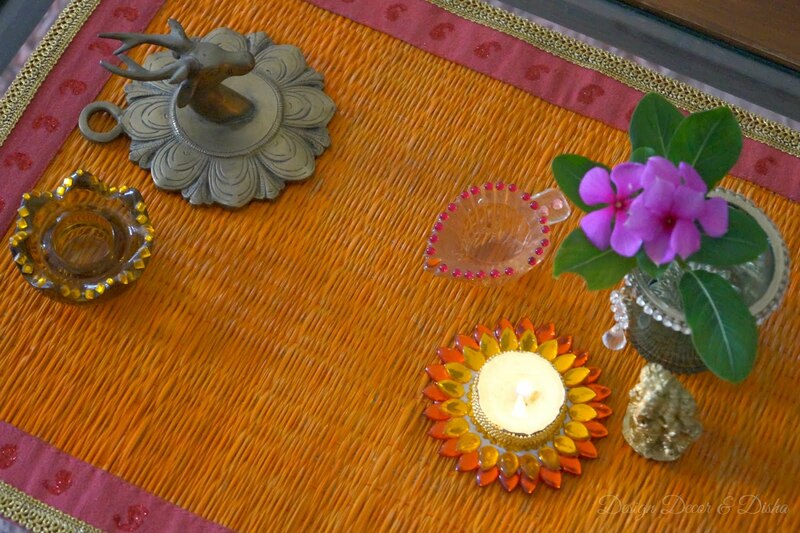 Below is one final shot of before and after of the bamboo placemats. Below is a video of this DIY with some more images. Enjoy!! Stay Tuned for some more kitchen DIY and Decor ideas! !